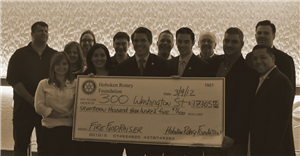 Immediate after the fire, Rotarian Joseph Branco, now the head of community relations committee, and pending member Rory Chadwick decided that the those affected needed the community's assistance. Therefore they planned one of the most successful fund raisers of the year. The evening saw approximately 400 hundred people attend the event at Room 84. A special thanks to Joe Mindak for his assistance at the door getting everyone through the doors. 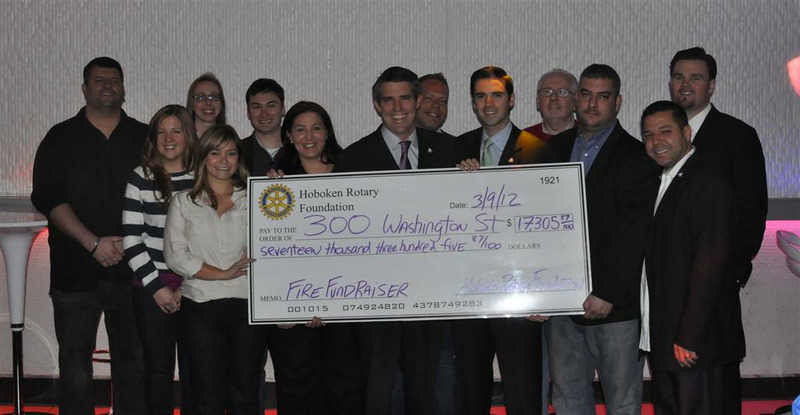 Close to $1,000 came through our website by people that lived both in and outside of Hoboken. The majority of the funds came from that evening. We are an organziation that assists our community and it was a real priviledge to be able to assist those affected.